Our two elegant rooms are full of character and yet highly functional to host a variety of meetings and events. Linked by a dedicated walkway, a select number of guest rooms are located within the Bellott’s building. 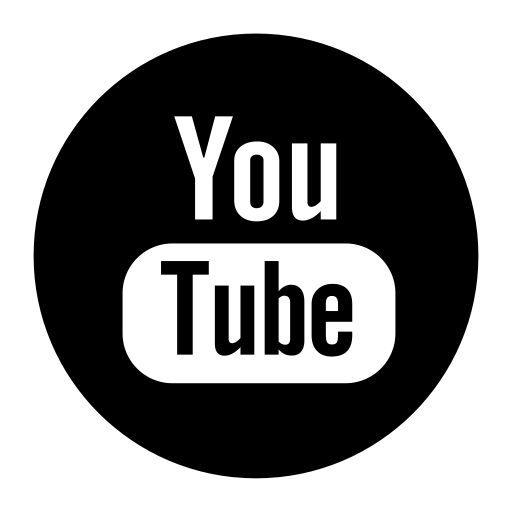 Enjoying a shared private garden, Bellott’s is perfect for small groups, families and wedding parties. With its stunning architecture, The Chapel is a bright, spacious venue complemented by natural daylight. The Chapel features a tented ceiling, hanging chandeliers and a gracefully curved alcove which acts as a natural stage. There is a setting for panel discussions, lectern or a head table with audio visual capabilities along with complimentary WiFi. The Chapel also has direct access to an external terrace, adding an outdoor element to the space or an idyllic area to host a drinks reception. 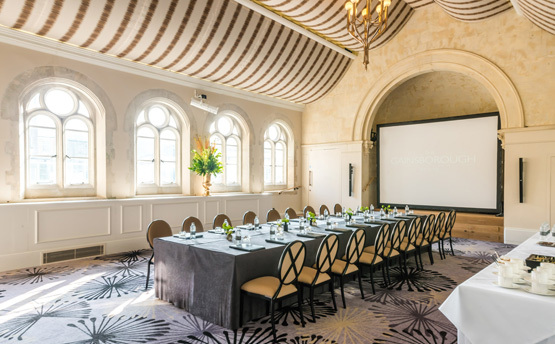 Located in the heart of the hotel and overlooking Spa Village, The Somerset Room features historic detailing making it ideally suited for meetings or private dining. 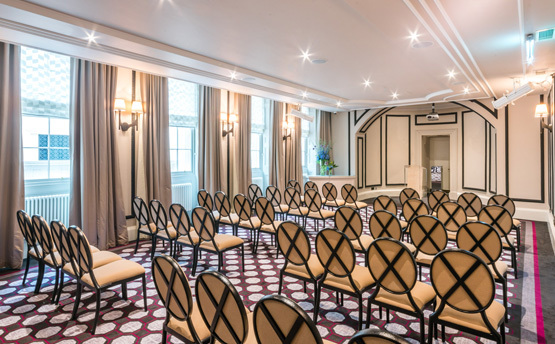 Elegantly period, The Somerset Room also has a setting for panel discussions, lectern or a head table with audio visual capabilities along with complimentary WiFi.